Your Successful Installation of Our Products is Our #1 goal. When my wife Deb and I founded this company we made a promise to each other, our employees, and our customers to only provide high quality highly durable products, at an affordable cost, backed by the best technical support in the industry. Our company is a family owned company, large enough to fill any order given to us, but small enough to care about every order, even a single unit order. Technical support is where successful installations begin. Even the best products, at the best price are not the most affordable products if they are the wrong products for the job, or if they are installed incorrectly. 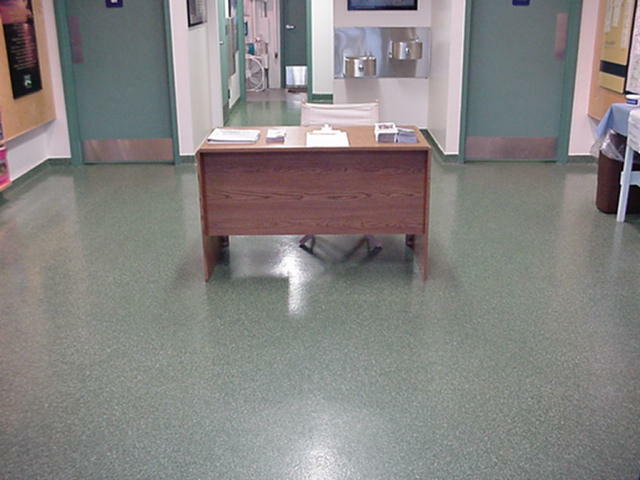 Selecting the Right Product for the Right Job isn’t just a motto, it is a necessary part of a successful epoxy installation. We look forward to your phone calls asking for our assistance in helping you select your product. We have decades of experience in our field, but you know your project the best. Together with what you know and what we know, we can find which of our products best suite your needs. Once in a great while we have requests for which we don’t currently carry a product to successfully accomplish your goals. If we don’t have the Right Product for your job, we will also tell you that. It is the only way you can know that if we recommend a product from your description or specification, that it is the best one to suit your needs. Katey Fontaine, VP and Chief Operations Officer and Director of Customer Service, is dedicated in doing everything she can to get your order taken quickly, and accurately. She then keeps track of the progress of each order to make sure that they get out of our facilities as quickly as possible and on to our customers who are eager to get started with their work. Katey also works with the trucking companies that pick up the product and deliver it to you. She has negotiated the best possible freight and ground rates so we can pass on the lowest possible shipping charges using the most reliable carriers. Our technical support department’s job is just starting after you get our products in your hands. We are dedicated to making sure that we answer all your questions clearly and accurately. I WANT your follow up questions. I have customers who are installing who apologize for contacting me with questions they feel are “trivial”, when in fact those questions might be the most important ones to ask for a successful high quality installation. Our technical support staff each have decades of field and technical support experience. In most cases we have done something like, or very similar to what you are doing. So it makes it easy for us to understand your situation, and help your installation go as smoothly as possible. The Ultimate Epoxy Selection, Ordering, and Installation Experience. All of us here want to be sure you are delighted with your whole experience from your first phone call or email, until you are enjoying the benefits of of our products and your installation, for decades to come. We view your success as our success. Remember, your successful installation of our products is our #1 goal.